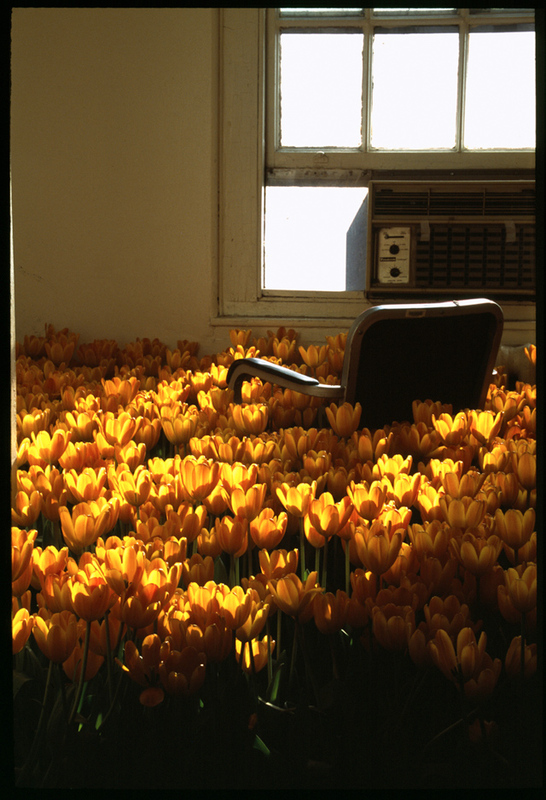 Bloom is a reflection on the healing symbolism of flowers being given to the sick when they are bedridden and confined to hospital settings, with the astounding, persistent exception of long-term psychiatric patients, who receive few, if any flowers during their hospital stays. 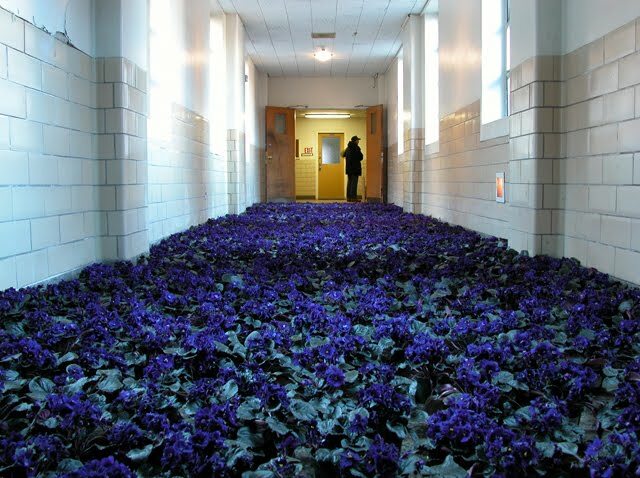 Walking through the hallways of an institution, still to this day, one cannot find any flowers in the rooms. 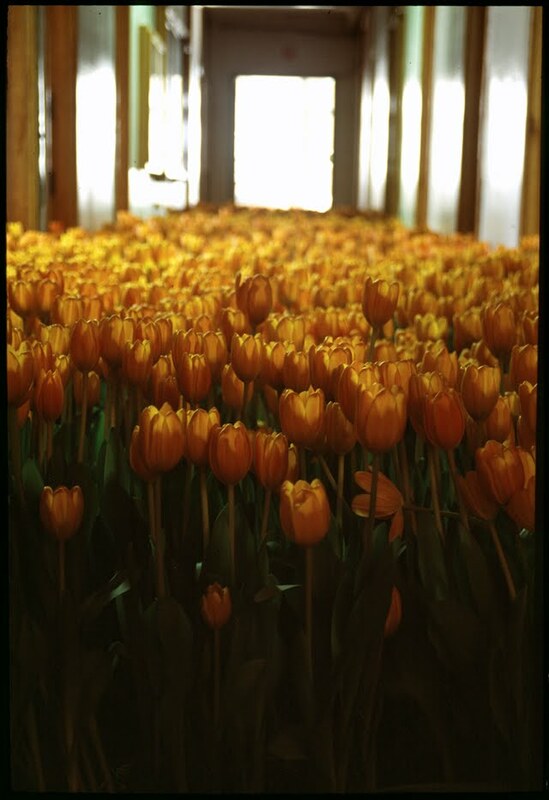 Bloom is created in the spirit of offering and transition. 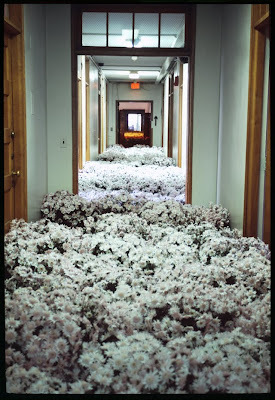 Bloom encompassed thousands of square feet of historic indoor space that was being left to abandonment. Bloom existed only for four days. Afterwards all the flowers were donated to surrounding hospitals, state institutions, half-way houses, and shelters. Anna has been a fellow at the MacDowell Colony, Bogliasco, Blue Mountain Center, The Hermitage, Yaddo, Banff, and the Radcliffe Institute for Advanced Studies, and a visiting artist / guest lecturer at Brown University, MIT, Smith College, Harvard, The New School, Brandeis, University of Michigan, McGill, RISD, Boston University, Pratt, Bowdoin, and Syracuse University. 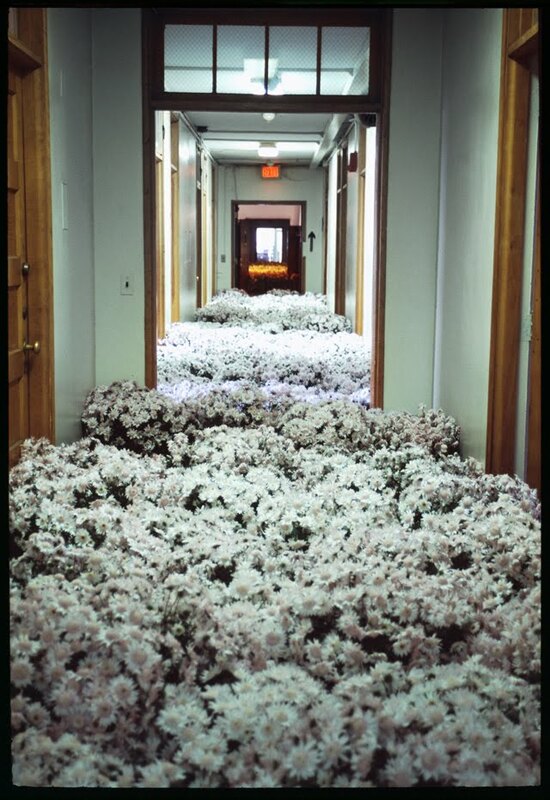 In 2006 she was named a MacArthur Fellow. 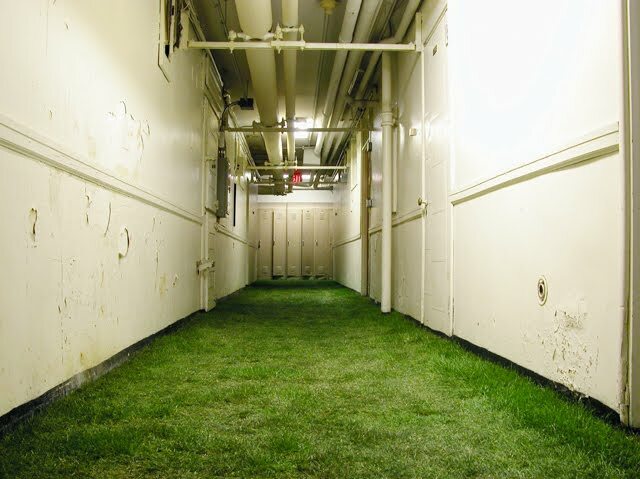 The basement of the building was covered with 5,600square feet of live sod, which was raked and watered throughout the day, and continued to grow. The connecting hallway between the historic part of MMHC and the research annex was covered in blue African Violets. 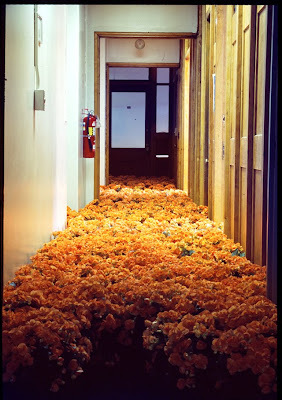 Orange begonias leading to the doctor’s offices. Treatment rooms on the first floor, with orange tulips. 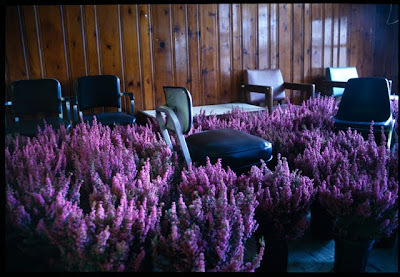 Pink Heather in one of the patients’ waiting rooms. 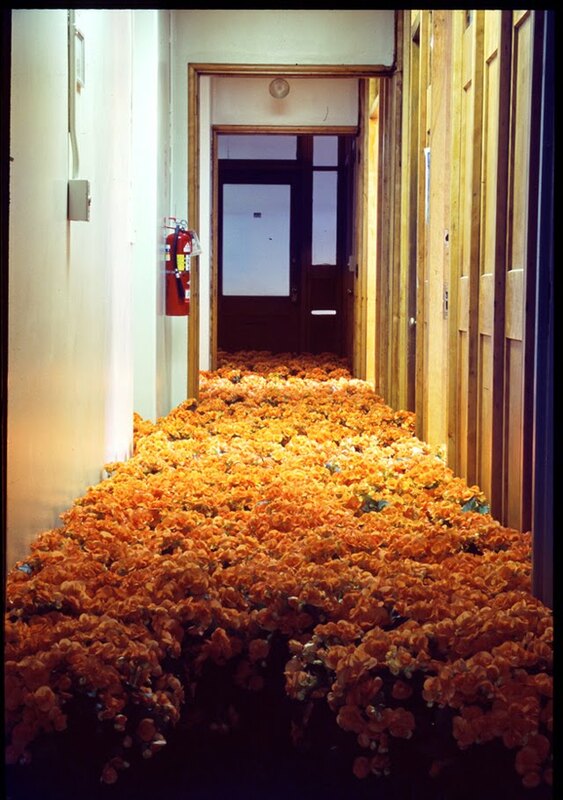 These flowers had traveled the farthest to be part of ‘Bloom’—from California. One of the tiny offices on the third floor, with orange tulips at mid-day. 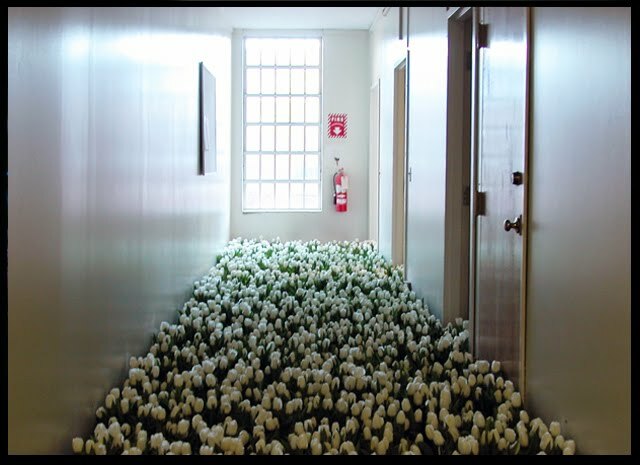 The Child Psychiatry unit with white tulips. This entry was posted in Contemporary Photography, L E N S C R A T C H, Uncategorized and tagged Anna Schuleit, Artist Guest, Brandeis University, Contemporary Photography, Guest Lecturer, Half Way Houses, Hospital Settings, Indoor Space, Macarthur Fellow, Macdowell Colony, Massachusetts Mental Health, Massachusetts Mental Health Center, Mental Health Center, Mmhc, Photographer, Photographers, Photographs, Photography., Project Bloom, Radcliffe Institute, Research Annex, State Institutions, Symbolism Of Flowers, Syracuse University, Transition One on March 25, 2012 by Aline - lenscratch.blogspot.com/.